A New Test Machine for Zurich to improve your experience. 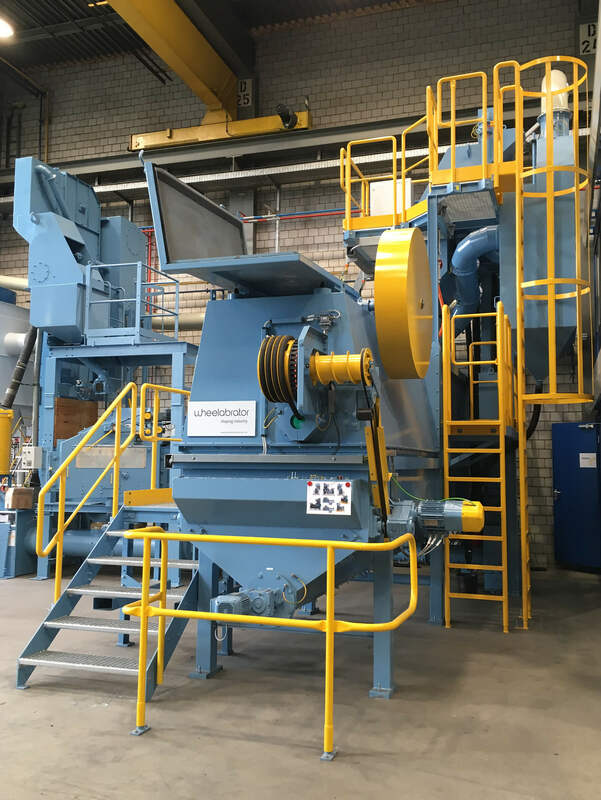 The Wheelabrator Centre for Product Innovation in Zurich has expanded capabilities at its test centre by designing and delivering a highly flexible new blast machine for its own advanced customer testing. The new machine replaces existing Wheelabrator equipment. Application testing is an important part of the design process at Wheelabrator and customers from around the world attend tests at the centre to review results and help refine design and parameters in conversation with the engineers in Zurich. 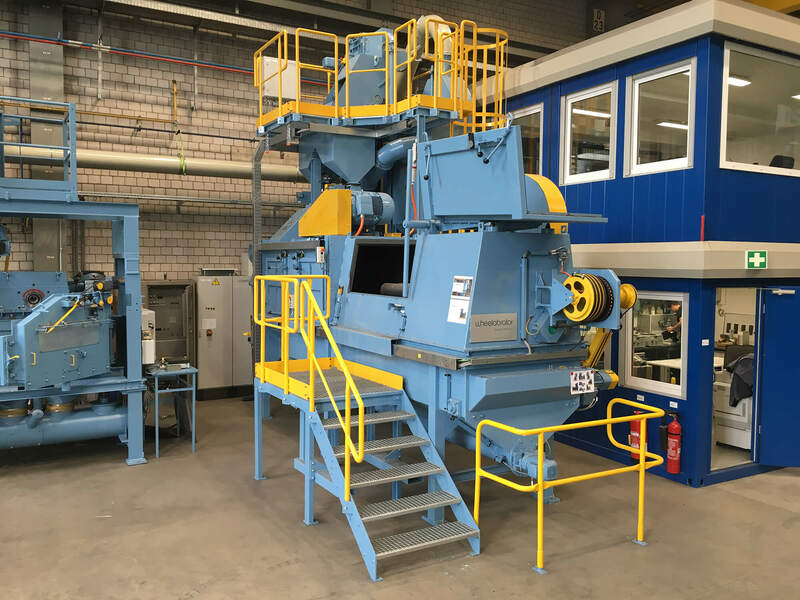 This allows the Wheelabrator team to match a new machine or process perfectly to customer requirements. The machine order from the test centre team included a long list of extras and a couple of unique requirements. For example, a test machine has to have a provision for the measurement of abrasive flow, so the new machine’s abrasive system was fitted with a bypass. All Wheelabrator wheelblast machines are designed for ease of maintenance, with quick access to blast wheels. For the test machine, however, this had to be taken to the extreme, allowing for frequent blast wheel changes and the capability to fit almost any type of wheel. The most challenging aspect of the machine design was the moving workpiece trolley that would simulate all kinds of workpiece positions and movements. This required not just easily replaceable workpiece carriers and jigs, but also the integration of drives and motors on the trolley itself to create different workpiece movements and rotations. Power supply to these moving motors was a major challenge, which the design team solved by devising a clever way of reeling the power cables off and in during movement. 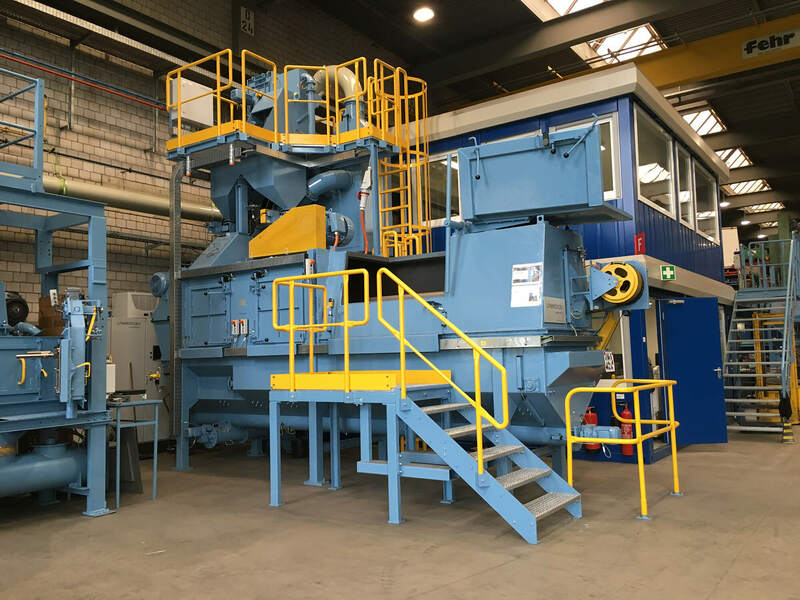 In addition to these special requirements, the performance of the machine was increased compared to the old equipment, and machine control and safety features were brought to the very latest state of the art. The result: the new test machine can simulate an incredibly broad range of machine types, including FL (wire and bar descaling), HB (strip descaling), BR (billet descaling), SRS (stress peening), RDS (spring peening) and IBC (inclined belt) machines from the Zurich portfolio. Since its commissioning in September, the machine has already been used to test various descaling and peening applications.